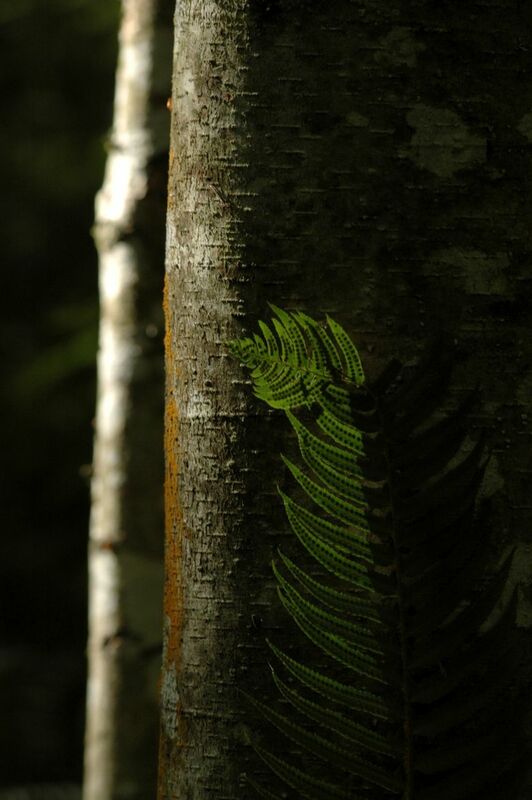 LIKE MOST SCIENTIFIC mysteries, the case of the vanishing ferns started with a keen-eyed observer. 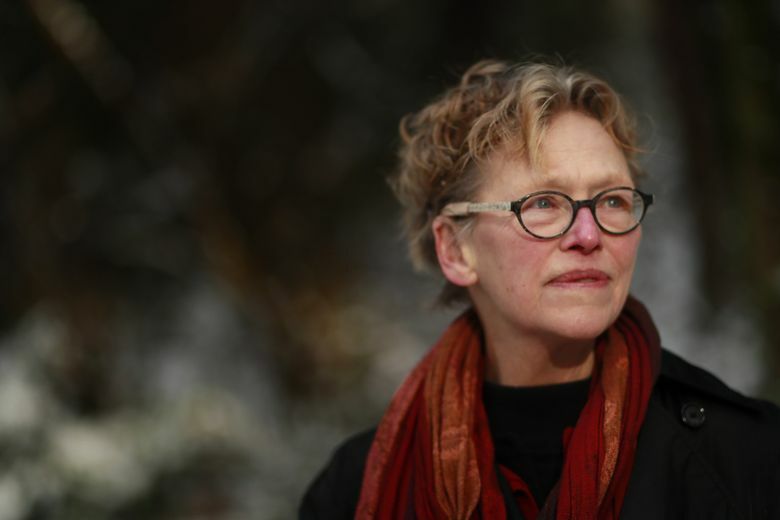 Catherine Alexander has been walking in Seattle’s Seward Park almost every day for more than 15 years. She knows the hidden glades where trillium sprouts in the deep winter. She knows where the owls nest, and when to watch for the first osoberry blooms and hazelnut catkins. So when the sword ferns started looking … funky … in the fall of 2013, Alexander was the first to notice. It was subtle at first. 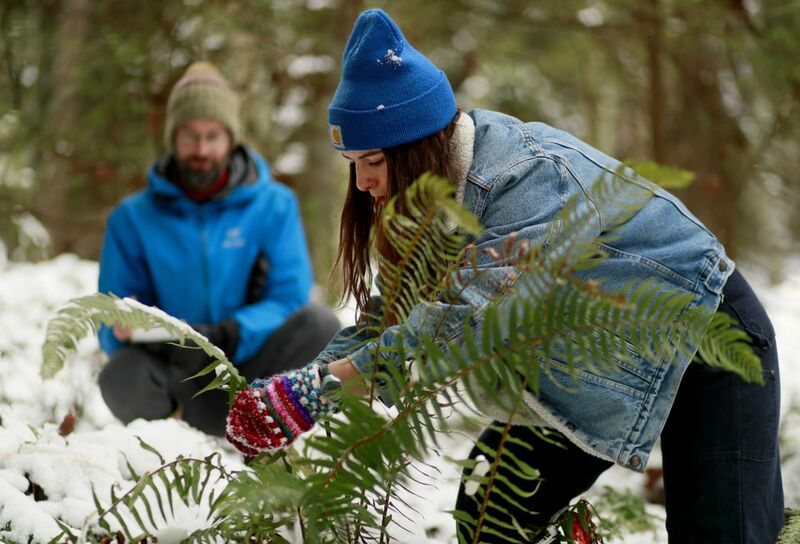 Ferns that measured 5 or 6 feet across and normally stood waist-high looked smashed, like they had just melted out from under a blanket of snow — but that didn’t make sense in October. Alexander came back every day for a week, trying to figure out what was wrong. 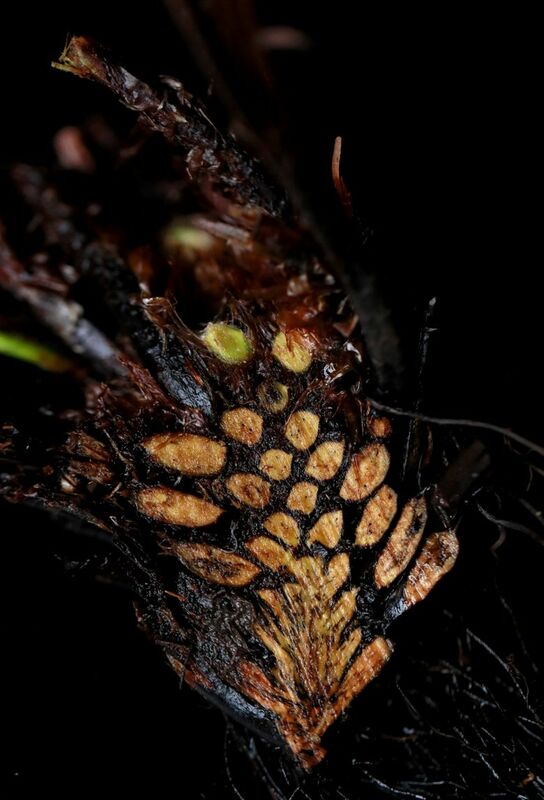 She examined the undersides of fronds and found spore capsules that were small and patchy. She shared her observations with park staff, who shrugged it off. She also told her friends Paul Shannon, a volunteer park steward, and Tim Billo, a lecturer in environmental biology at the University of Washington. Like Alexander, Billo prowls the park several times a week, with his young daughters in tow. 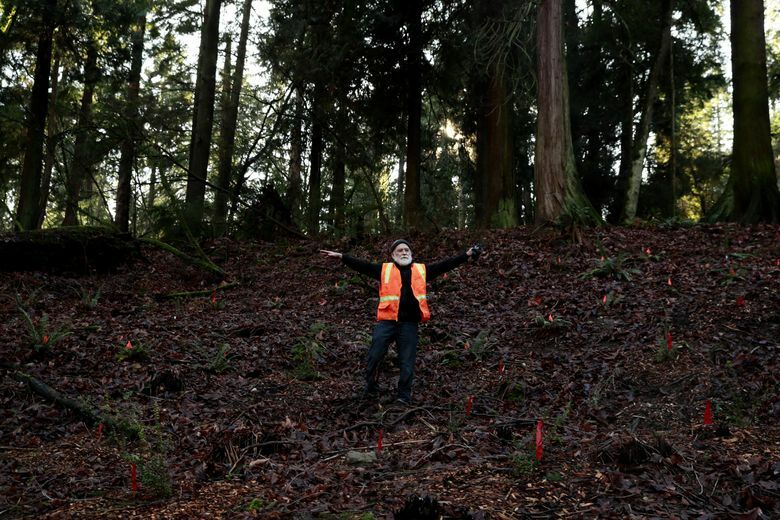 Shannon has spent countless hours planting native vegetation and maintaining trails in the 300-acre park, which juts like a thumb into Lake Washington and holds one of the last remnants of the old-growth forests that once covered the Puget lowlands. Both men were concerned. 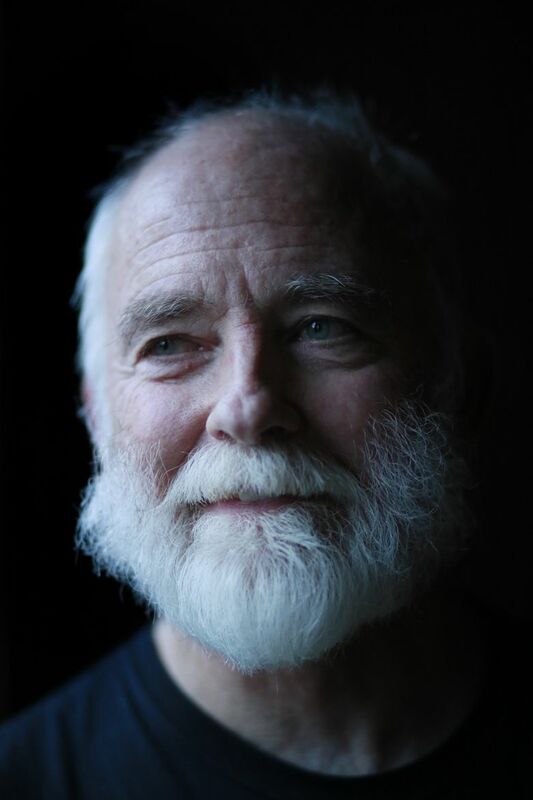 When he lived in Virginia, Shannon had watched with dread as an insect invader from Asia wiped out hemlock trees in the Blue Ridge Mountains. As an undergraduate, Billo studied the blight that annihilated chestnut trees in eastern North America. They agreed to help keep an eye on the ferns. It wasn’t until the following spring that they became alarmed. At a time when every fern should have been pushing up coiled shoots called fiddleheads, few showed any new growth. Many were stunted, brown and lifeless. “I think that’s when people really started taking it seriously,” Alexander recalls, surveying the area eventually dubbed “ground zero.” Today, it’s bare and brown, the once-luxurious understory of sword ferns reduced to spiky stubs. In the more than five years since Alexander spotted the sickly plants, the dead-fern zone has expanded out from ground zero like a blob that now covers 20 acres. Ferns in other parts of the park are shriveling, too. Similar die-offs have been documented from Port Ludlow to Bainbridge Island and the Kitsap Peninsula, with another 70 potential sites reported across the region. Still, no one knows what’s killing the iconic plants. 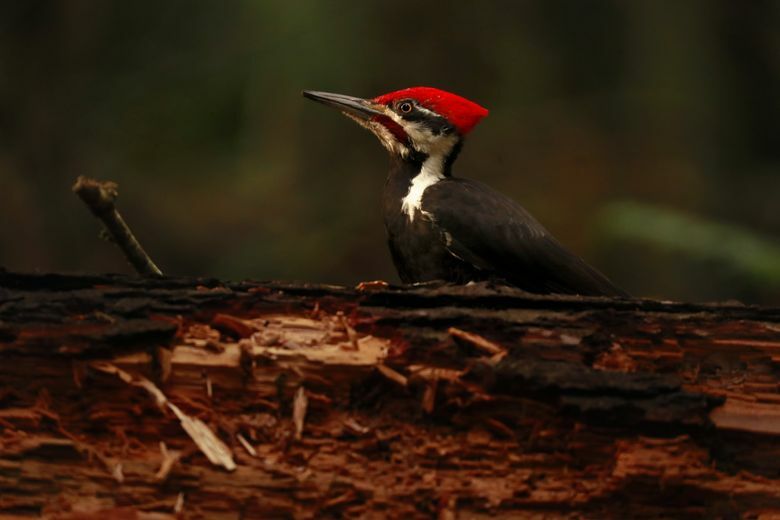 No one knows whether the disparate die-offs share a common cause. And there’s no answer to the most pressing question of all: At a time when orcas are facing extinction; starfish are wasting away; and the abundance of birds, insects and countless other creatures is declining around the globe, is Seward Park a blip, or the harbinger of a fern catastrophe that could reshape Northwest ecosystems? 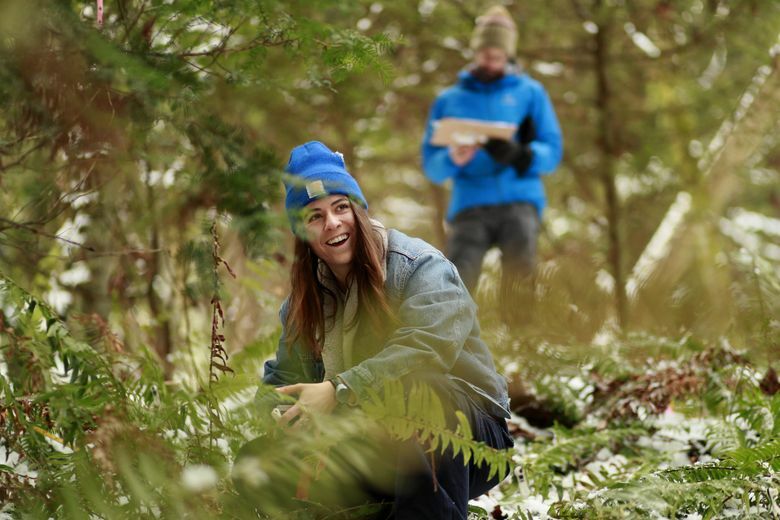 The search for answers has been driven largely by a small but passionate group of nature-lovers turned citizen scientists, including Shannon. They’ve mapped the spreading dead zones, scrutinized weather data to see whether drought or heat is to blame, and even tried to re-create the die-off with potted ferns and soil from ground zero. They collected soil samples for chemical analysis and enlisted a plant pathologist to test for killer pathogens. The collective efforts have yielded a few tantalizing clues, but nothing definitive. Now, bumping up against the limits of what amateur sleuths with no money can accomplish, they hope to flip the script followed by most citizen-science projects. Usually, established researchers determine the questions they want answered, then recruit volunteers to gather observations or perform online tasks, like classifying galaxies in telescope images. 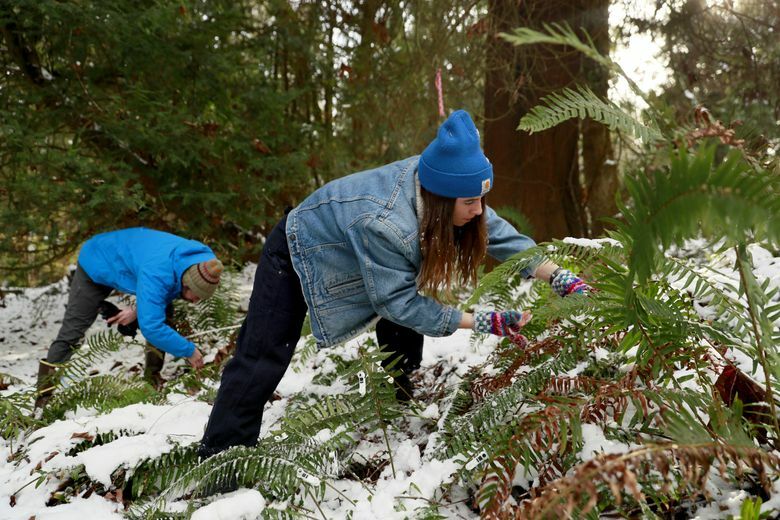 Seattle’s fern-watchers already have the question — and a lot of preliminary data. What they need is a real scientist with the time, expertise and funding to tackle it in a systematic way. 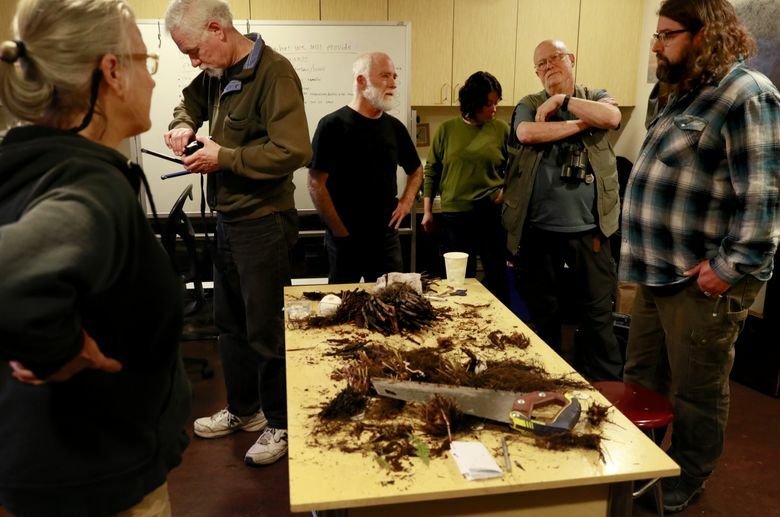 THE FERN DETECTIVES are an eclectic bunch, many of whom live near Seward Park and are active in Green Seattle Partnership and other “friends of the parks”-type groups. There’s a retired carpenter, a refugee from Silicon Valley, a geneticist at The Hutch and a former lab technician. Billo is well-versed in environmental science, but he’s a teacher, not a research professor with grant money and a stable of graduate students. Shannon, who works as a senior software engineer at the Institute for Systems Biology, devotes so much time to the fern puzzle, it’s almost a second job. He created a blog that he updates with every new development. He scours the scientific literature for fern studies, and reaches out to experts around the world. When new sites are reported, he visits them to see whether they meet the group’s detailed criteria for a bona fide die-off — criteria he helped create. And he’s not even particularly fond of ferns. 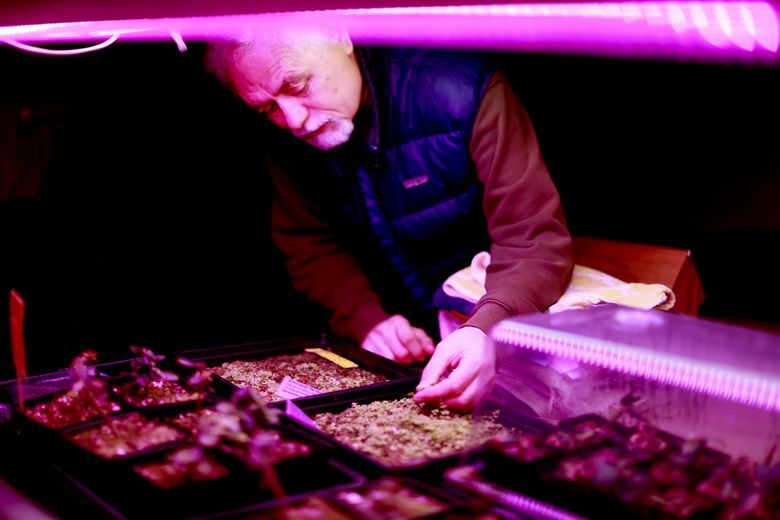 “It’s just that they’re a fundamental part of the plant community, and they’re going away,” he says. David Barrington, a fern expert at the University of Vermont consulted by Shannon, agrees something worrisome is going on. “I’ve never heard of anything like it,” he says. Sword ferns are so hardy, gardeners joke that it’s impossible to kill them. 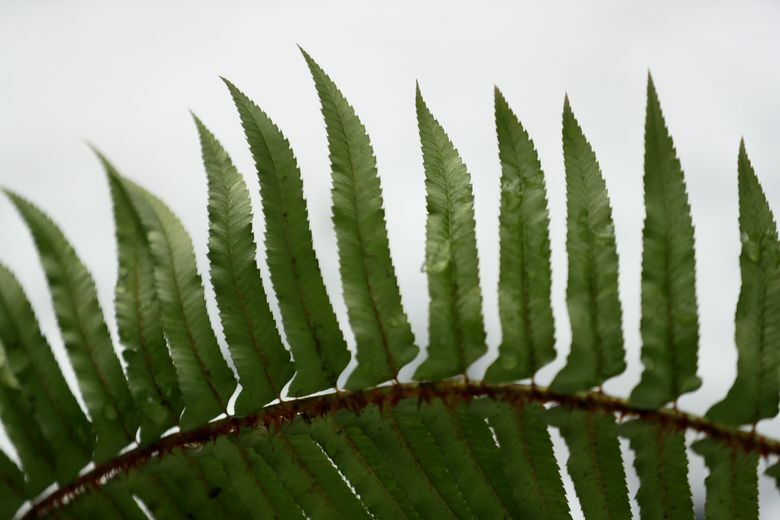 Valerie Segrest, a Native foods nutritionist and member of the Muckleshoot Indian Tribe, says she doesn’t know of any traditional or historic accounts of previous sword-fern die-offs. The plants occur in such profusion across Western North America — and have so little economic value — that they’ve received scant scientific attention. 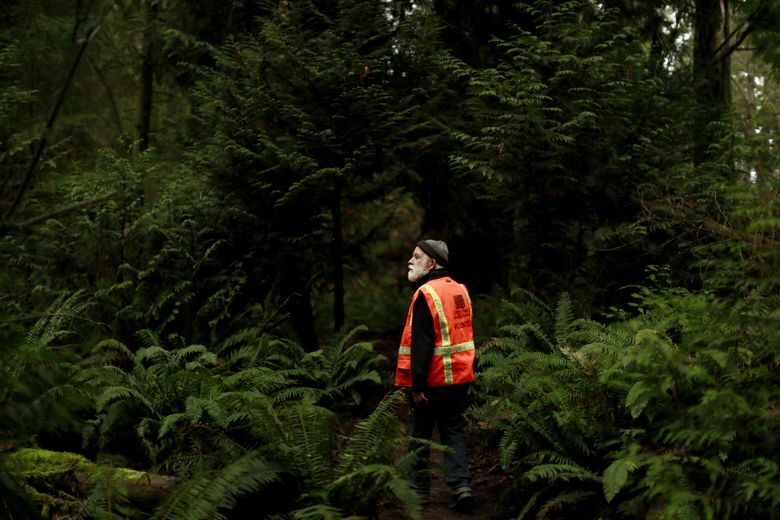 “I usually looked past sword ferns, not at them,” says John O’Leary, a water resources manager for the Suquamish Tribe who now spends much of his time monitoring patches of dead ferns on the Kitsap Peninsula. In Northwest forests, Polystichum munitum often dominates the understory, providing habitat and food for creatures large and small. Native Americans used the sturdy fronds to wrap and protect food during cooking, and eased the pain of nettle stings with the powdery spores. The ferns colonize disturbed areas, like recently burned forests. Once the trees grow back and block the sun, conventional wisdom holds that new ferns rarely take root. If so, Seward Park’s sword ferns could be 250 to 300 years old, roughly the age of the park’s forest. While Barrington isn’t convinced baby ferns won’t sprout in an old forest, he confirms that some fern species can live hundreds of — and maybe even a thousand — years. 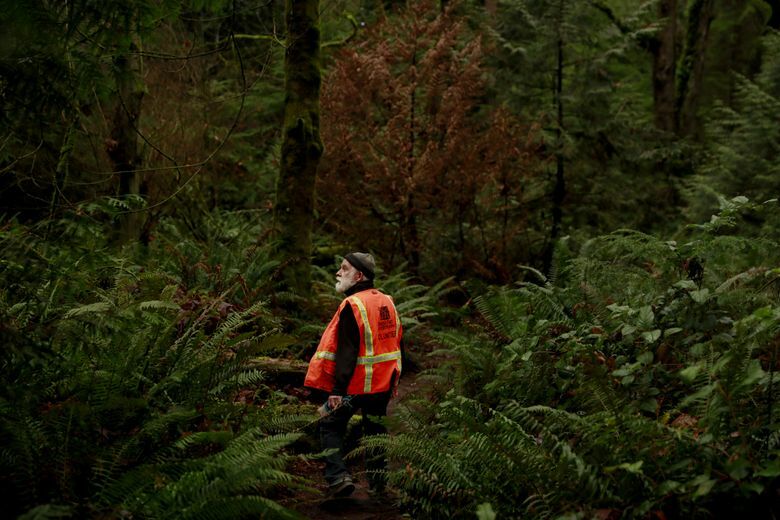 Other long-lived Northwest plants also have been dying in unusual numbers in recent years, including bigleaf maple trees, Pacific madrone and Western red cedars. 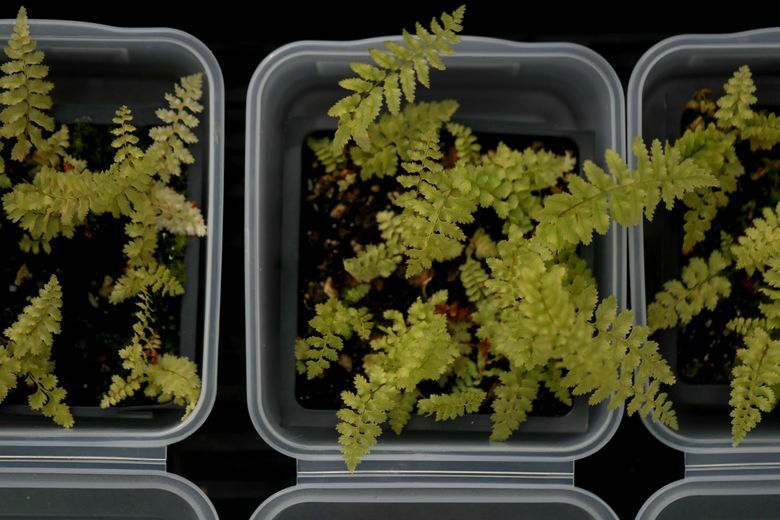 Ecologists suspect environmental stress is making the trees more susceptible to fungus and boring insects — and wonder whether the same thing might be happening to the ferns. 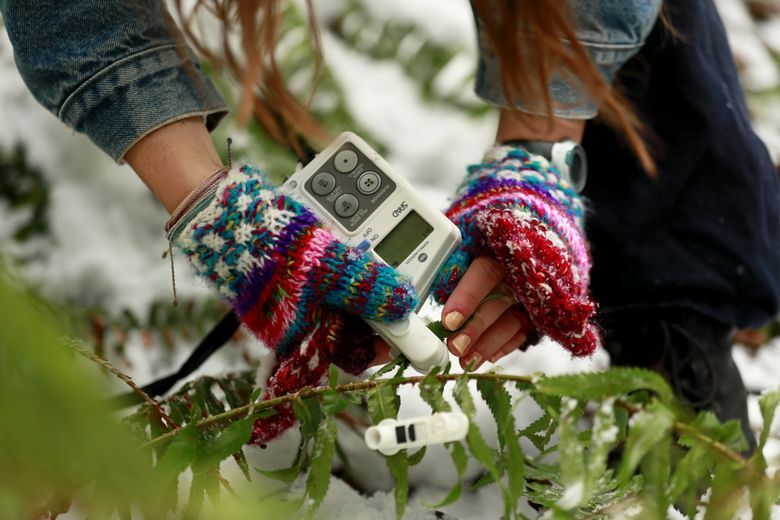 ONE OF THE citizen scientists’ strengths has been a willingness to act quickly and try anything, from homespun experiments to dissecting fern rhizomes for clues to their age. 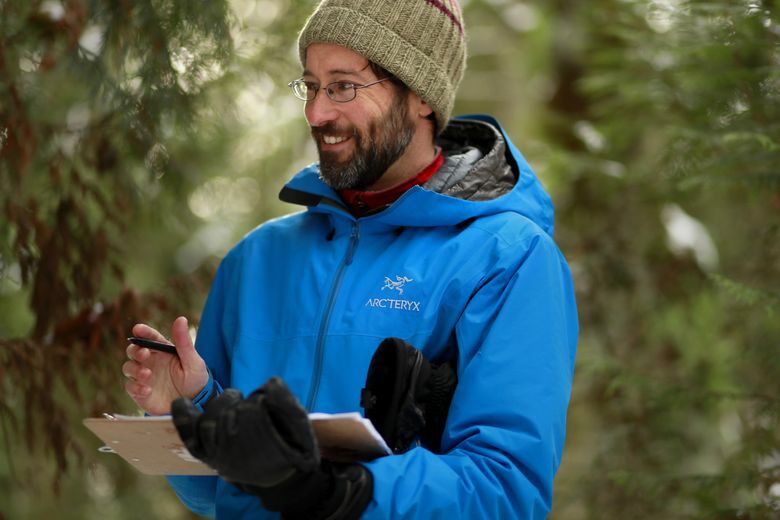 A report commissioned by Seattle Parks and Recreation, released in February, describes 17 separate research efforts, including field surveys, mapping, laboratory tests and small-scale experiments. One volunteer bikes around local parks and natural areas, photographing and noting the location of possible hot spots. 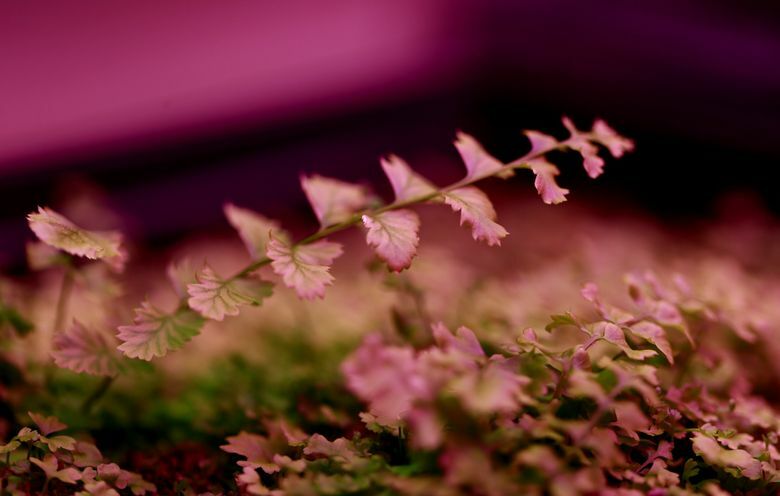 Part-time plant breeder David Perasso collected spores from the only surviving fern at ground zero — dubbed the Lazarus fern — and is growing offspring in his basement. O’Leary planted ferns in raised beds filled with soil from affected areas, and is waiting to see whether they get sick and die. Another theory that’s been ruled out is an invasion of exotic earthworms. Warmer, drier weather remains a contender, but doesn’t appear to be solely to blame because the die-offs have spanned both wet and dry seasons. 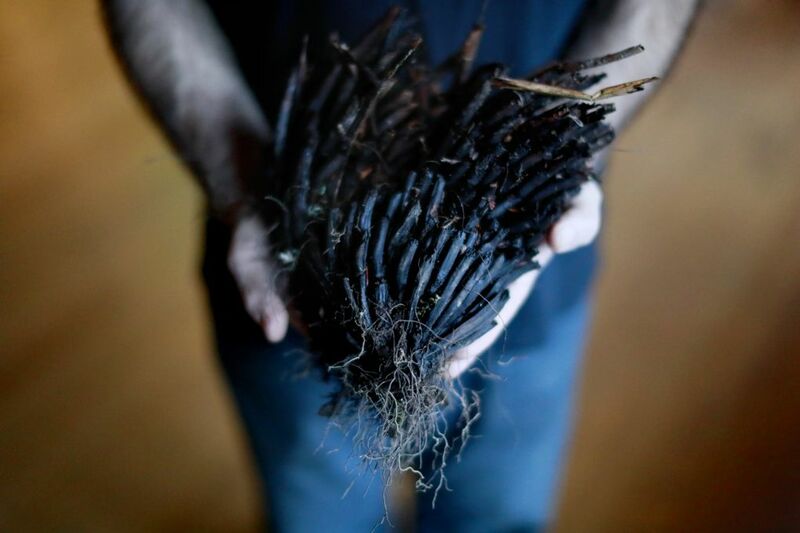 The leading suspect is an as-yet-unknown fungus, bacteria or virus — possibly even introduced through revegetation efforts. When Marianne Elliott first saw the dead ferns, she immediately thought of the type of soil microbe that destroyed Ireland’s potato crops in the mid-1800s. 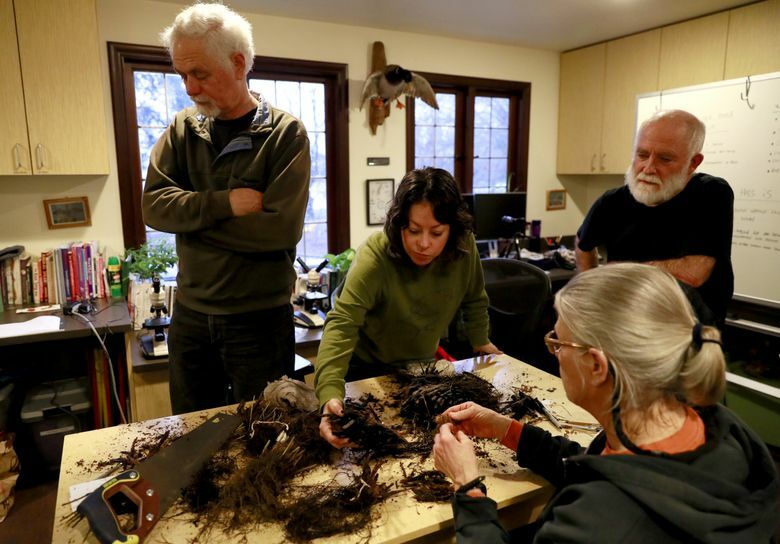 A plant pathologist at Washington State University’s Puyallup Research and Extension Center, Elliott collected snippets of roots and rhizomes from the dead and dying ferns and took them back to her lab to culture. To her surprise, nothing stood out. The most promising experiment so far was a much lower-tech affair, conducted in Shannon’s kitchen with beer bottles. 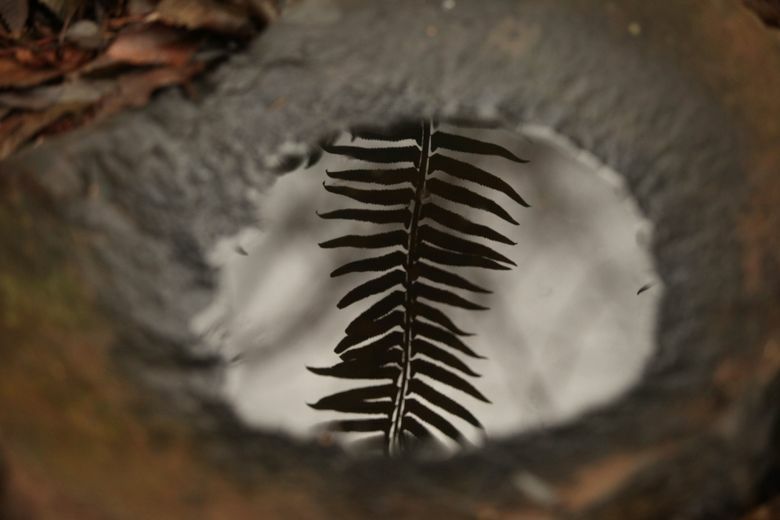 He filled several empties with water and stuck two fronds in each: one from a dying fern, and one from a healthy fern. Within a week, the healthy ferns began to wither and turn brown. That suggests a bacteria or virus transmitted via water, explains Elliott, who hopes to re-create Shannon’s results on a bigger scale in her lab. But Elliott’s main job is to tackle diseases that impact commercial nurseries or profitable species like rhododendrons. She has to squeeze the fern work in when she can, with no dedicated budget. ONE THING CITIZEN science excels at is harnessing the internet to gather observations. 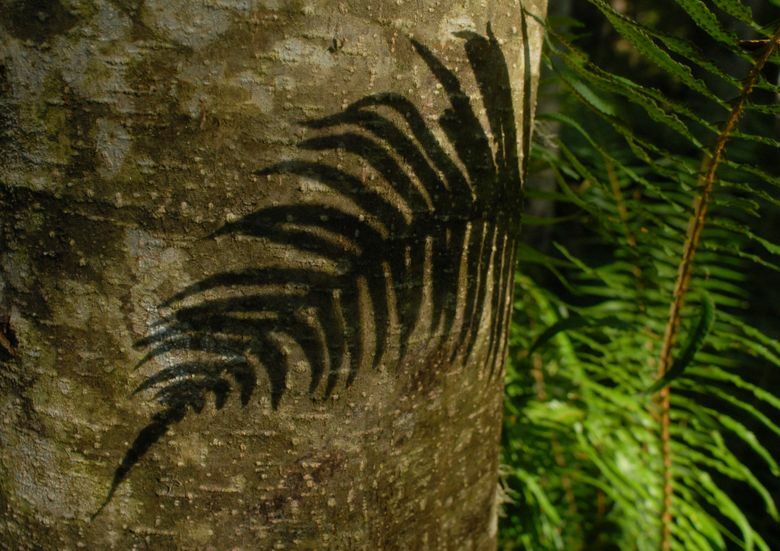 Billo recently launched a site on the platform iNaturalist, where people are starting to post pictures and descriptions of spots across the region with failing sword ferns. 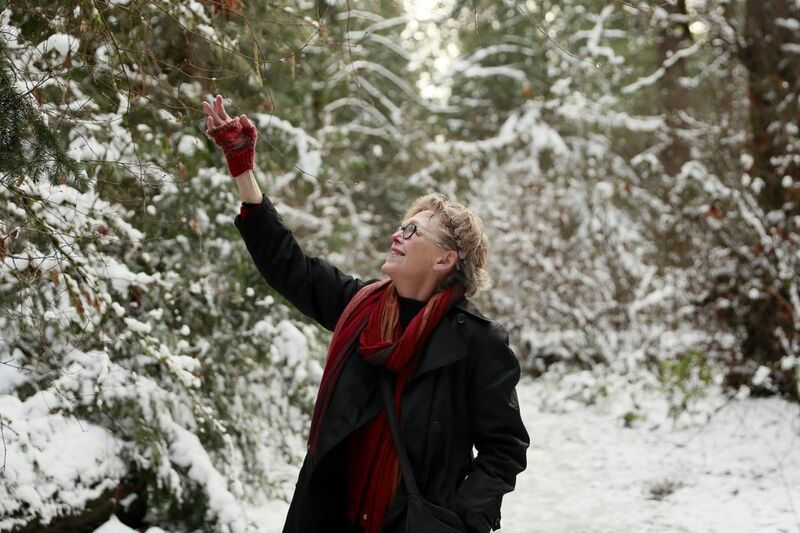 Seattle’s team got a surprise when a woman who lives near Poulsbo stumbled across Shannon’s blog and reported that the ferns on her property started ailing in 2009 — four years before Catherine Alexander noticed something amiss in Seward Park. “I spent all that time thinking I was the only person with this problem and wondering what on God’s Earth was going on,” says Heidi Danilchik, who lives on three waterfront acres her grandparents bought in the 1950s. The ferns were so thick and enormous that, as a child, she could barely wade through them. More than nine years ago, as she was getting ready to go abroad for a year, Danilchik noticed the plants looked droopy. When she returned in 2010, she was horrified at the shriveled “crispy” ferns lining her driveway. The ferns are all gone now, and all attempts to replant ended in failure. “It looks like a scorched earth,” Danilchik says. In a more hopeful sign from Seward Park, several sword ferns Shannon planted at ground zero are still alive after a year. If they survive, then perhaps the scourge is like a deadly flu epidemic that kills its victims, then dies out itself. Ecological mysteries can be among the hardest to solve because of the staggering number of variables. 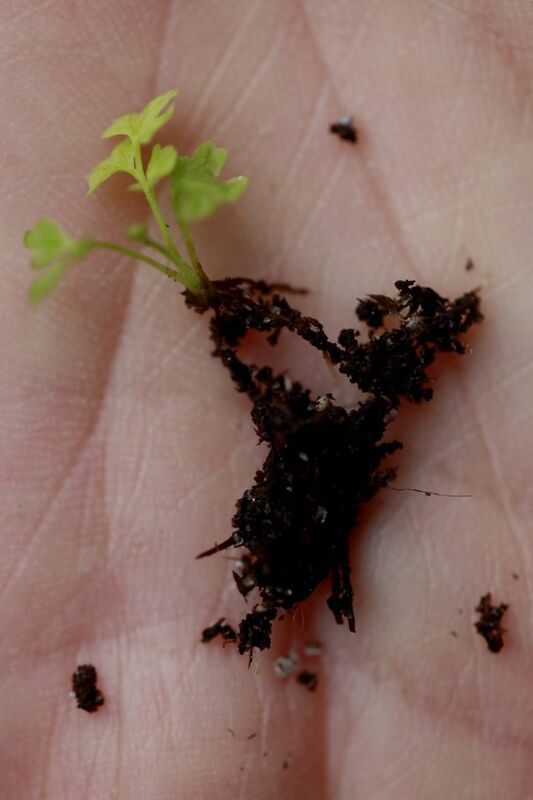 Temperature, rainfall and soil chemistry all affect plants, but so do sunlight, air circulation, microorganisms, insects and herbivores, along with pollutants and weeds and pests introduced by humans. Biologists started sounding the alarm about vanishing frogs around the world in the 1970s, but it was nearly 30 years before the primary cause was proved to be a fungus that originated in Asia and spread around the globe through trade — particularly shipments of African frogs once used in pregnancy tests. Scientists still disagree over the role of other factors, like climate change and UV radiation. That doesn’t mean it will take three decades to crack the sword-fern case — just that it might be harder than it looks. Seattle Parks and Recreation has spent about $30,000 on the fern front, including for continued monitoring and observation. Some of the citizen scientists grumbled that the single largest expenditure — $18,000 — went to the report that summarizes the work so far and identifies gaps. The report also lays out a strategic plan, though it lacks many specifics beyond a call for more monitoring and a more concerted effort to find the cause. But a summary document is a key first step to attracting future funding and scientific interest, says co-author Olga Kildisheva, lead scientist and co-founder of Verdant Consulting Group. The citizen scientists are optimistic that somebody — perhaps a graduate student with grant money and a few years to spend on the hunt — will take the bait. Alexander and Danilchik, who initially sounded the alarm, now find themselves scrutinizing every patch of ferns they pass for signs of decline. Unfortunately, they’re seeing a lot of it. Many fern-covered hillsides near Danilchik’s home are taking on the ghastly, lime-green tinge she saw in her own doomed plants. On a recent visit to a park in Port Angeles, Alexander noticed large swaths of droopy sword ferns. Even the two big plants in her own backyard look poorly.